We have one goal: to make your real estate dreams a reality. It is our pleasure to be able to help first-time homebuyers and seasoned investors with the purchase or sale of beautiful Whatcom County properties. 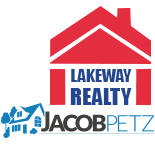 Led by Jacob Petz, our team is backed by a level of experience and knowledge that exceeds that of the average agency. With more than a decade of experience in the real estate industry, we have worked with thousands of individuals and families while they find their perfect property. Whether we are helping new buyers navigate the exciting, new process, assisting property investors with their next great buy, or helping recent retirees find a vacation home, we are proud to act as both an advocate for and advisor to each of our clients. Armed with extensive market knowledge and a lifelong passion for real estate, we utilize innovative technologies and tried-and-true methods for searching out and listing properties. As your local Whatcom County real estate agency, we look forward to helping you start your search for the perfect home or find the perfect buyer for your home! Contact us today to arrange a personal appointment and consultation with our team.